While shopping at the Rosemont Market & Bakery in Yarmouth, MP spotted this lovely May Basket. Traditionally, these springtime baskets are made by children and left as a gift on the doorstep of a neighbor, friend or loved one. MP thinks this would be a fun, sunny day project with the kids. 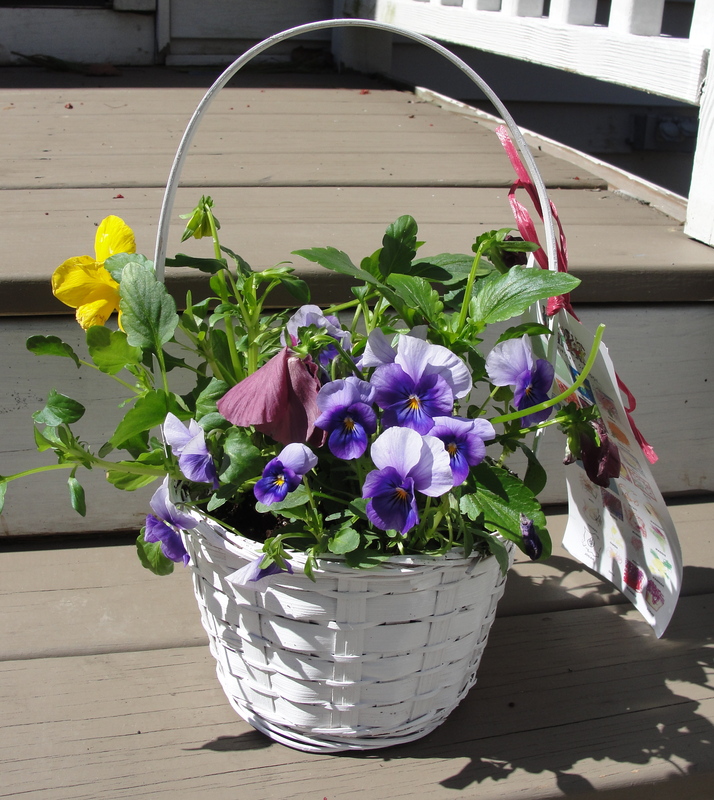 All you need is a basket, liner, potting soil, pansies and some ribbon. The May basket made by the Village Nursery School is finished with a gift tag that features the children’s art work. So sweet!